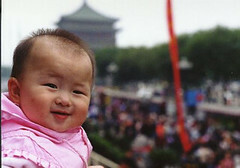 SHANGHAI – China could soon tax people for not having enough babies. Hu Jiye, a finance professor at China University of Political Science and Law, is calling for the government to use taxes to encourage couples in the country to have more children. The first of the two proposed taxes is a tax on the incomes of dual incomes couple with no children. The professor claims that couples like these will end up consuming social resources, as they do not have kids to take care of them in their old age. The collected taxes would offset the financial burden that the couples may eventually place on the government in the form of health care and social welfare. Further, Hi Kiye called for the implementation of a fertility fund. WELLINGTON – Waged staff in New Zealand will now automatically get tax refunds, without filling out any forms. 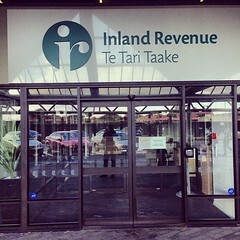 On August 3rd the Inland Revenue Department of New Zealand announced that it expects to automatically issue 750 000 tax refunds to individuals next year. Currently, salary and wage earners in New Zealand see their personal income tax automatically deducted from their earnings, which means that they do not typically have to file annual tax returns. However, workers whose job changed or whose payments were not always the same could voluntarily complete a Personal Tax Summary which may indicate that they are owed a tax refund. While this process is aimed at being easy, there is an existing industry which will complete the procedure on behalf of taxpayers. APIA – During a recent Assembly, the Congregational Christian Church of Samoa has announced that it intends to ignore the government’s new tax on the income of ministers. 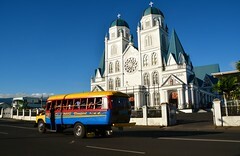 Samoa is seeing an escalation in the controversy surrounding the church taxes, as the Congregational Christian Church of Samoa has outright refused to comply with the newly announced tax on ministers’ incomes. Earlier this year the government of Samoa passed new regulations requiring church ministers to pay income tax on the earnings they receive from their congregation. The church claimed that it will need to discuss the impact of the tax and their possible reaction during their General Assembly, which was held last week. KAMPALA – Taxes on mobile money could seriously dampen the uptake of modern financial technology and systems in Uganda. On May 1st, at the launch of the Uganda Rural Challenge Fund, representatives of financial institutions in Uganda collectively claimed that the government’s planned tax on mobile money transfers will inhibit financial inclusion. The government hopes to enact a tax of 1 percent on all mobile money transactions. 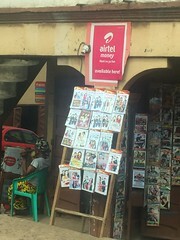 Mobile money and other cell phone-centric payment systems have proven to be popular in Uganda, especially among poorer taxpayers who do not have ready access to banks and other traditional financial tools and services. 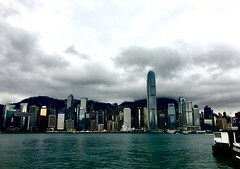 HONG KONG – A third of Hong Kong’s personal income tax comes from the richest people 1.5 percent of taxpayers, and some politicians want them to pay even more. New information released by the Financial Services and the Treasury Bureau in Hong Kong on April 24th indicates that the top 1.5 highest earning taxpayers in the city paid more than a third of the personal income tax collected in 2017. In the 2016-2017 year, a total of HKD 63.6 billion in personal income tax was collected in Hong Kong. The top 1.5 percent of taxpayers directly contributed HKD 22.8 billion of the total. Of the top 1.5 percent of taxpayers, half had salaries of between HKD 2 million and HKD 5 million, though approximately 2 700 of the richest taxpayers had salaries exceeding HLD 10 million.